For much of 2015 and the first part of 2016, the club has been a little dormant. However, we’re back again now, and looking again to grow and continue to talk with people in positions to help us put up more courses in the Erie area. 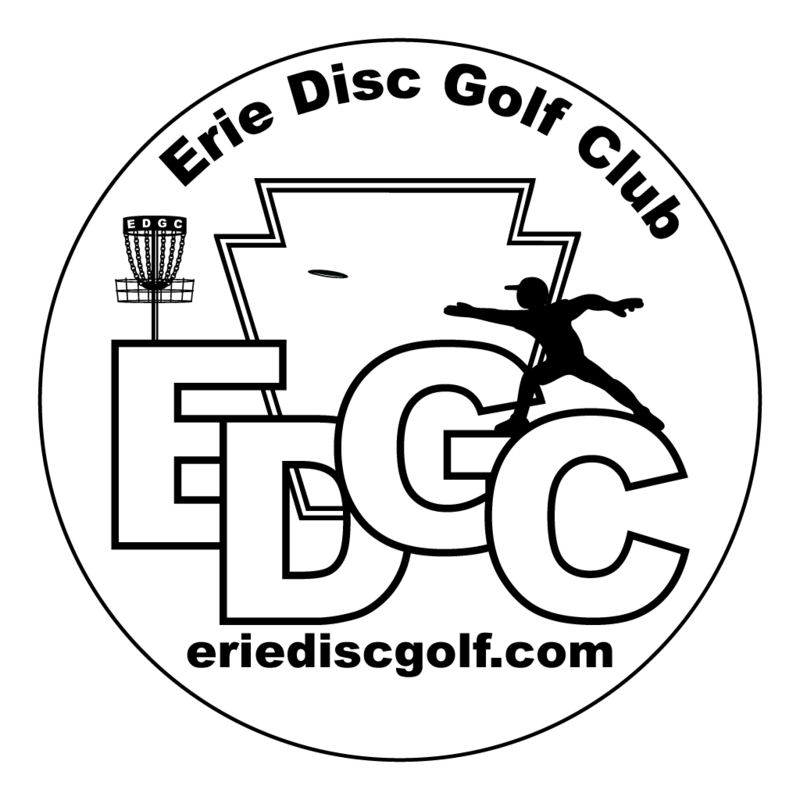 We get to say “more” courses now, because the Erie area now has two courses. EDGC founders played a role in helping to get the course at Penn-State Behrend set up. 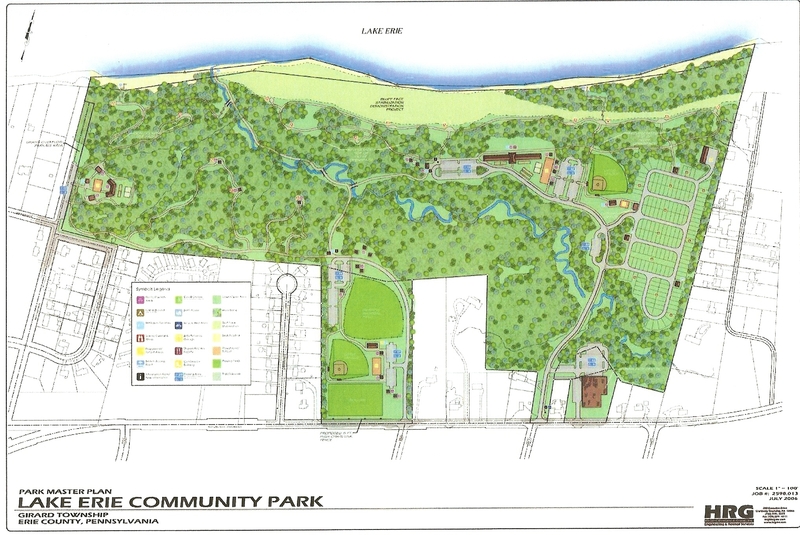 It’s a fair nine-hole layout, and a good start toward growing the game within the Erie area. There’s also a second course at Edinboro University. We have a few irons in the fire right now. Continue to check our Facebook page for the latest news (smaller things than we’ll post here will go there). … when we hope to have spring-summer-fall league at the Behrend course on a weeknight or two each week. And of course, we’re still in contact with local committees and organizations on building more disc golf courses here locally. If you’re interested in helping out, please get in touch with us! Email me and I’ll get back to you within a few days. 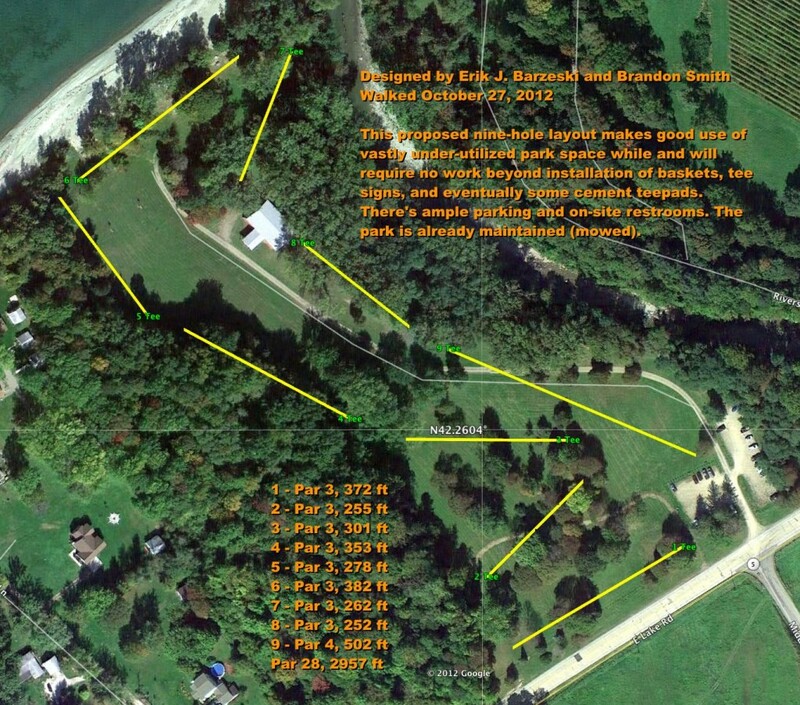 Below, you’ll find a possible layout for what may become the first public disc golf course in Erie County. Brandon and I walked the course in the miserable Hurricane Sandy weather on Saturday, October 27 and we think this design is quite nice. The park is a great spot and is already maintained (mowed), but currently only tends to attract fishermen parking and the occasional walker. The layout has holes that go both left and right, some tighter holes and some more open holes, and a reasonable variety of distances. Next we will meet with the North East Township Parks & Recreation committee. All we’ll need to start is ten baskets and some tee signs, then we can work on putting up a little welcome board and then some cement teepads. Check out our Facebook post on this as well. What others can you suggest? Comment below or message us on Facebook.